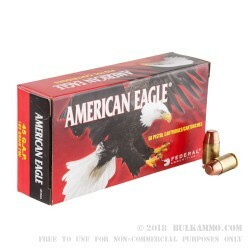 This .45 GAP ammunition from Federal delivers solid, cost-effective range performance for your Glock. 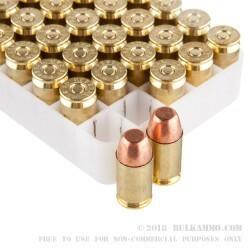 Each cartridge in this box of 50 fires a light 185 grain full metal jacket bullet at a high muzzle velocity of 1,090 feet per second, delivering good accuracy and manageable recoil. 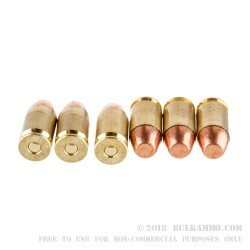 These rounds are made in Anoka, Minnesota using non-corrosive Boxer primers and reloadable brass cases. Federal has been based in Anoka since its establishment in the 1920s; today, they operate a 175 acre facility as well as the Lake City Army Ammunition Plant in Independence, Missouri.